Listen to the full match report here on PVFC Radio on soundcloud. 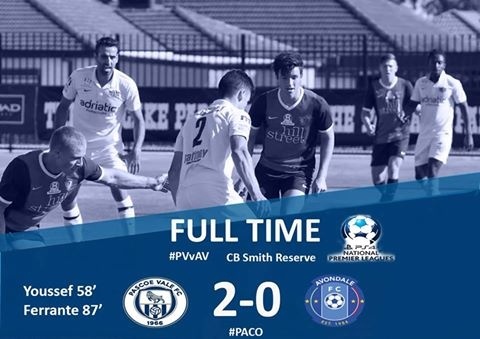 Pascoe Vale 2 (Youssef 58’, Ferrante 77’) defeated Avondale FC 0 at CB Smith Reserve. Pascoe Vale: Pryce, Talarico, Megic, Nakic, Santilli, Youssef, van’t Schip, Milardovic, Turner, Prelevic, Ferrante.